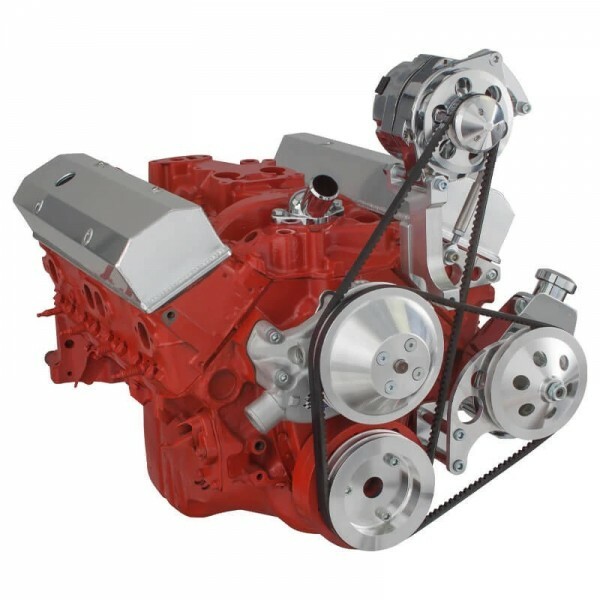 The highest quality Vee belt kit for Chevy small block engines with short water pumps (SWP) for alternator and Power Steering applications. This kit is Polish Finish. 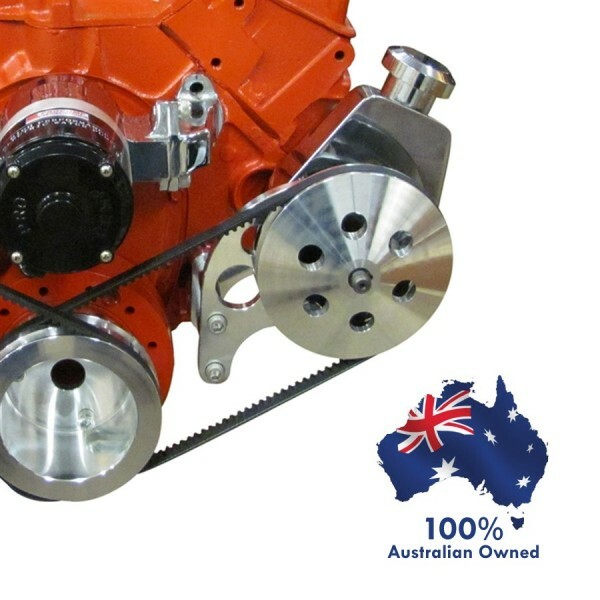 Our pulleys are CNC Machined to keep your engine properly balanced and prevent thrown belts. 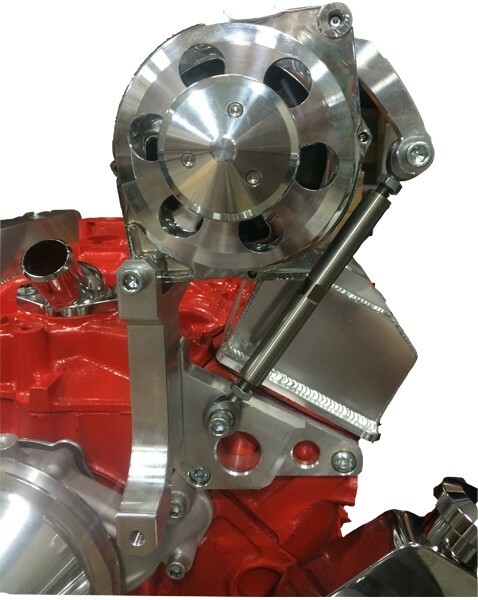 Computer controlled machining ensures that your billet aluminum pulleys run true and your billet brackets offer perfect fit. This provides additional traction to the belt and increases power to the system. 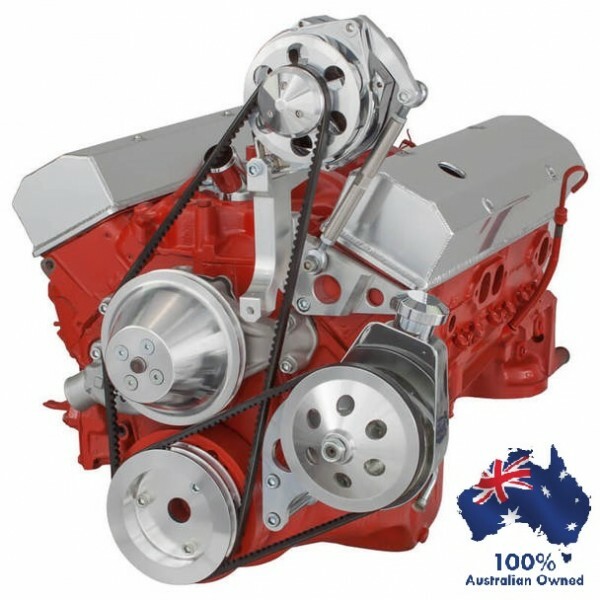 Mounts Saginaw P Series Power Steering pump low on Passenger side and puts alternator on the Drivers (RH Australian) side in a mid-mount configuration. Uses standard Chevy Short water pump. 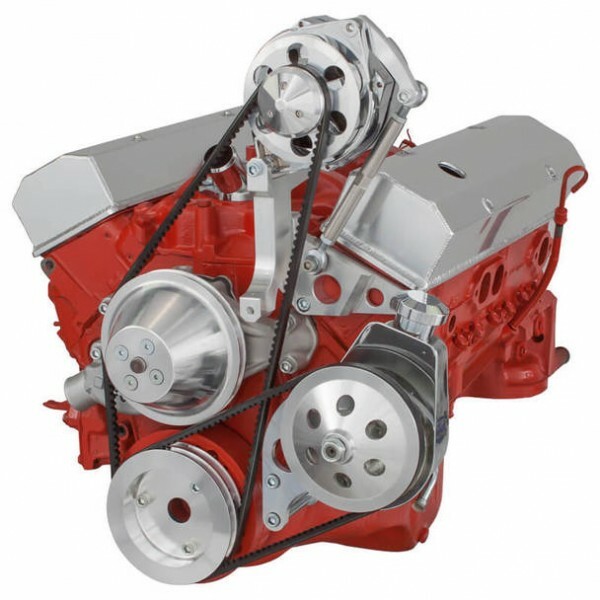 All of our Chevy Small Block Vee Belt kits are locally produced. Buy today to enjoy our competitive prices and fast shipping on all orders.